For the better part of the decade, Toronto's hip-hop and R&B scenes have been dominated by male solo acts who've found success in revealing the emotions, their heartbreaks, and at times, a overpowering cockiness — but the Sorority are here to challenge that and give a new voice to the scene. After forming two years ago, the female rap quartet, made up of Keysha Freshh, Haviah Mighty, Lex Leosis and Phoenix Pagliacci, have put their solo careers on hold to release their debut album, Pledge. 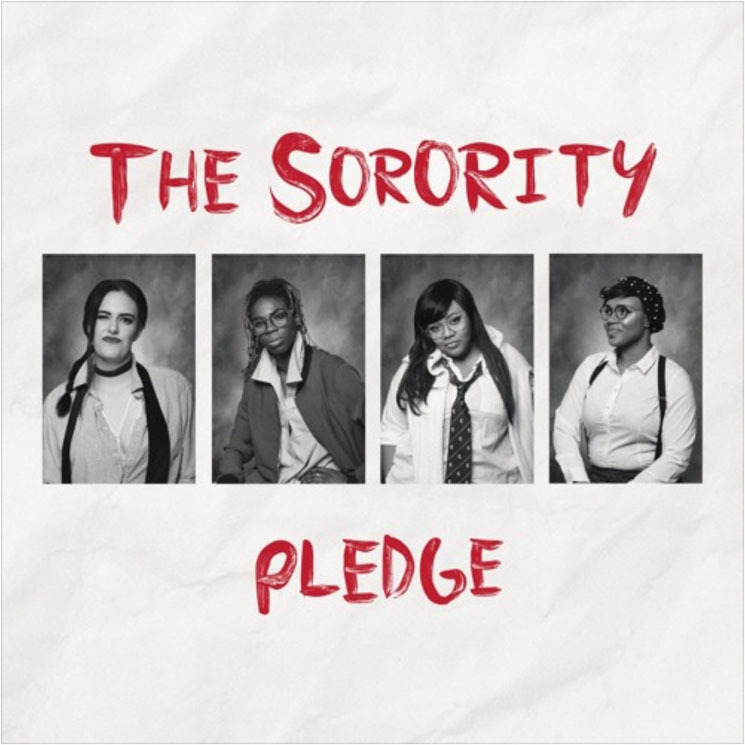 Serving up Toronto colloquialisms and attitude, Pledge affirms the Sorority's roots with every song. Haviah and Lex run through the hauntingly produced "West End (Yeah Eh)," while Phoenix and Keysha pay homage to the other side of the city with the choir-infused "East End (Dun Kno)." In these moments, the Sorority's passion is clamorous, and just like the four elements of mother nature, every member of the Sorority represents something unique in their delivery and cadence. Keysha floats like water over songs like "Wildin'," bringing forth the essence of the Golden Era with a unique West Indian twist, while Lex demands attention spitting the coldest bars on "Blacklist." Like a dragon spitting fire, Haviah lives up to her name, bringing forth an undeniable presence and energy on songs like "Midnight," but also switches into singing to provide support on hooks for "OTW." Phoenix, who effortlessly transitions between singing buttery tones and delivering metaphoric bars throughout, brings a sense of cohesiveness to Pledge, and the springboard to bounce the group's core ideals off of ("Vanity 6"); Phoenix is Earth.